The three-year strategic plan provides an opportunity to reposition the role of EDC, facilitated by new leadership and evolving effective economic development practices, to focus on the tri-part goal of “growth, prosperity, and inclusion.” (A. Liu, Brookings Institute, 2016.) 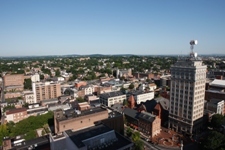 EDC seeks to advance Lancaster County’s economic development to more fully realize the County’s potential (growth) – sustainably over time (prosperity) – to benefit the community as a whole (inclusion). 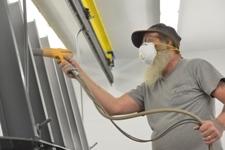 Strategy 1: Intentionally cultivating, retaining, and expanding industry. Strategy 2: Influencing and/or leading systemic responses to specific opportunities and threats to economic growth and stability. Strategy 3: Providing and analyzing robust economic information as a core foundation to strengthen the regional economy. 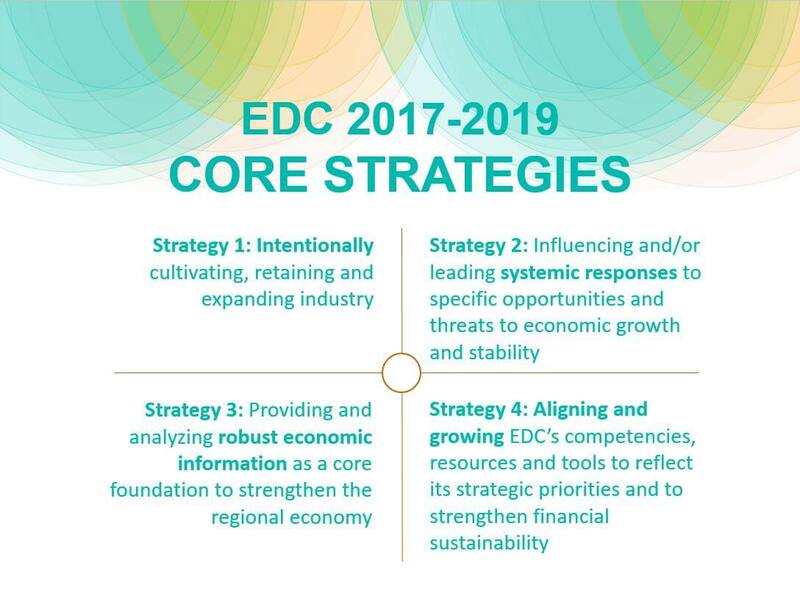 Strategy 4: Aligning and growing EDC’s competencies, resources, and tools to reflect its strategic priorities and to strengthen financial sustainability.